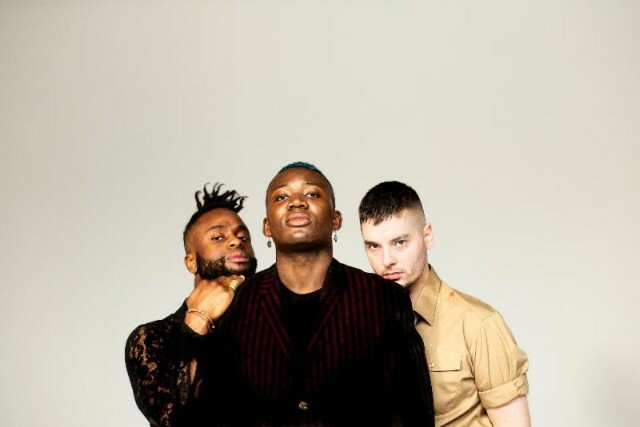 June 13, 2018 -- The Ruhrtriennale festival in Germany cancelled the Young Fathers performance yesterday after failing to get the award-winning band to renounce their support of Palestinian human rights and the Nobel Peace Prize-nominated, Palestinian-led Boycott, Divestment and Sanctions (BDS) movement. Ruhrtriennale is punishing Young Fathers for withdrawing last year from Pop-Kultur, another German festival, over official Israeli embassy sponsorship. Eight acts pulled out of the 2017 Pop-Kultur Festival over its partnership with Israel. We feel it is a wrong and deeply unfair decision by the festival to take this stance and to also ask us to distance ourselves from our human rights principles in order for the appearance to go ahead. Anyone who knows the band and our history will know we oppose all forms of hatred and racial discrimination. Always have. And we, like BDS, ‘do not tolerate any act or discourse which adopts or promotes, among others, anti-Black racism, anti-Arab racism, Islamophobia, anti-Semitism, sexism, xenophobia, or homophobia’. Pop-Kultur is facing a mounting boycott campaign this year. Four acts have already pulled out from the festival in protest of its collaboration with Israel. Prominent composer and producer Brian Eno has called the collaboration “a whitewash”. To criticise the Israeli government after the recent killings of unarmed Palestinian protestors is not antisemitism. It is pro-civilisation - speaking out in favour of civilised behaviour and against state brutality. It is standing up and saying: ‘The rule of law applies everywhere’. The Palestinian Campaign for the Academic and Cultural Boycott of Israel (PACBI), a member of the largest Palestinian civil society coalition that leads the global BDS movement, urges conscientious artists and free-speech defenders to show solidarity with Young Fathers and to boycott Ruhrtriennale festival. Ruhrtriennale’s shameful McCarthyism and desperate attempt to shield from censure and accountability Israel’s far-right regime of apartheid, occupation and ethnic cleansing are glaring forms of complicity. German festivals Ruhrtriennale and Pop-Kultur have attracted unprecedented condemnations for their perceived defense of the Israeli government in the light of Israel’s latest massacre in Gaza, where more than 110 civilians were shot to death, including children and medics, and more than 13,000 injured, many by live ammunition. Amnesty International has condemned Israel’s shoot-to-kill-or-maim policy. Ruhrtriennale’s bullying and censorship of Young Fathers over their principled support for Palestinian human rights must be among the most stark indicators yet of the rise of anti-Palestinian McCarthyism in Germany. Loyalty to Israel’s far-right racism and oppression is becoming the litmus test for acceptability among some German elites. Conflating opposition to Israeli war crimes -- including illegal settlements, siege and ethnic cleansing -- with anti-Jewish bigotry is a form of anti-Palestinian repression and anti-Arab racism that is intended to silence critics of Israel. It also does a disservice to the ongoing struggles against real anti-Jewish racism, as progressive Jewish groups in Europe and the US have often argued. The German establishment’s blind support for Israel’s fanatic regime of settler-colonialism and apartheid radically contradicts public opinion. The German public opposes Israel’s regime by a five to one margin, according to recent polls. In a 2017 BBC international public opinion poll, Israel was the fourth least popular country on the list. Only 7% of Germans in this poll viewed Israel's influence on the world stage as "mainly positive”, while 36% viewed it as "mainly negative”. Anchored in the Universal Declaration of Human Rights, the BDS movement opposes all forms of racism and discrimination, including anti-Black racism, anti-Arab racism, Islamophobia, anti-Semitism, sexism, xenophobia, or homophobia. BDS, which is partly inspired by the struggle against apartheid South Africa, calls for nonviolent pressure to end Israel’s flagrant violations of international law and for safeguarding the human rights of the Palestinian people.